Robert Kirkman has had an amazing success in his incredible stories from Invincible, Thief of Thieves, Ultimate X-Men, Marvel Zombies, and of course the Walking Dead. 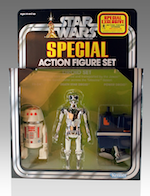 A new series he has created and announced last year will be in stores this Wednesday, June 25th and it has been receiving great praise. 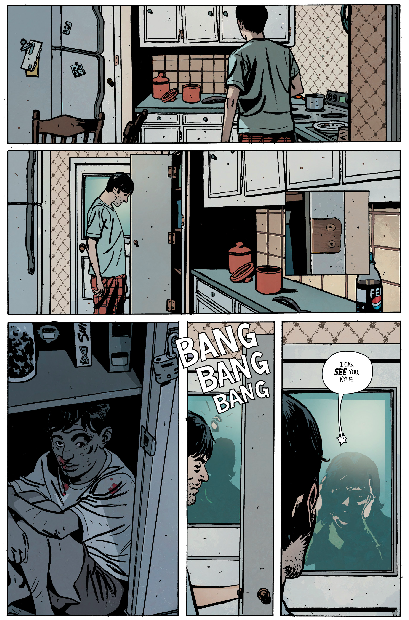 Robert Kirkman's newest series is Outcast from his imprint Skybound and Image Comics. 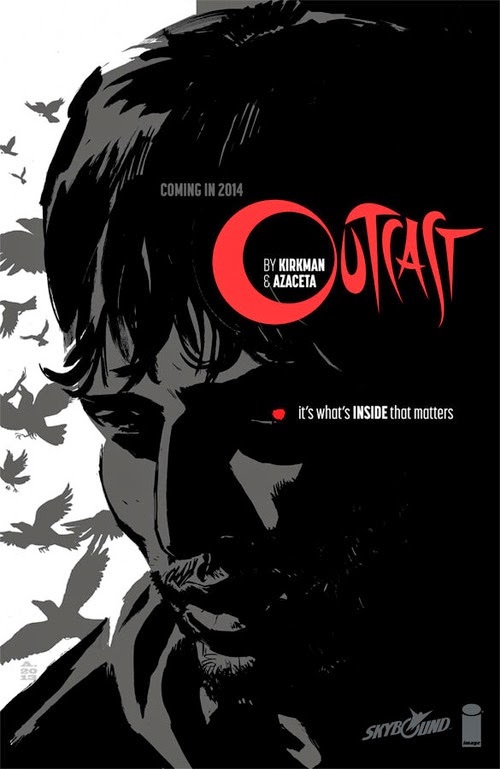 Outcast was created and written by Robert Kirkman and the art is by Paul Azaceta. 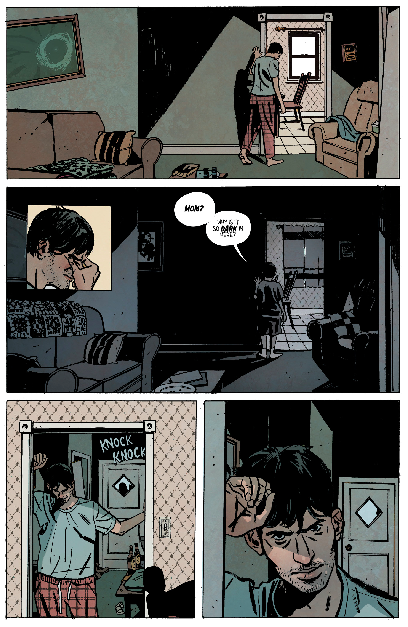 Outcast is the story of Kyle Barnes, a young man who has been plagued by possession since he was a child. Now an adult, he embarks on a journey to find answers, but what he uncovers could mean the end of life on Earth as we know it. 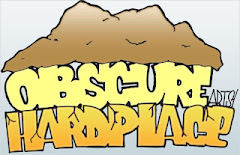 With Robert Kirkman's great success in comics, he has definitely created some of our favorite comic series. One of those being of course The Walking Dead, which led to our favorite television series on AMC. He has been working on this story for a couple years, which gave him an opportunity to also make it a hopeful television series. 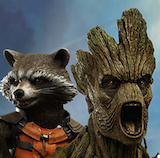 A TV pilot is currently in production from Fox International Channels for the cable network, Cinemax. 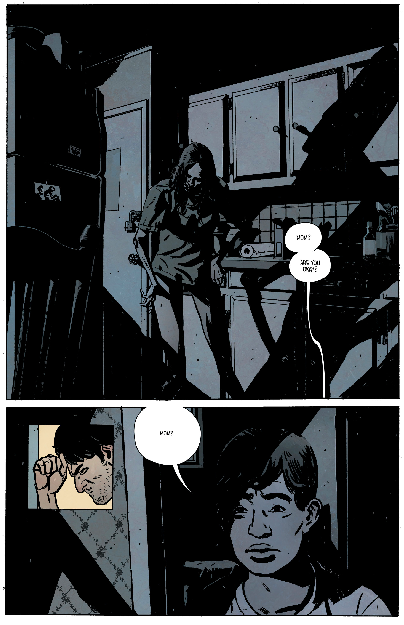 With a very unique and original story, Outcast can definitely be an eerie, horror filled series we would love to see on TV and do hope gets produced. Meanwhile, we look forward to adding another Robert Kirkman series to our collection this Wednesday. 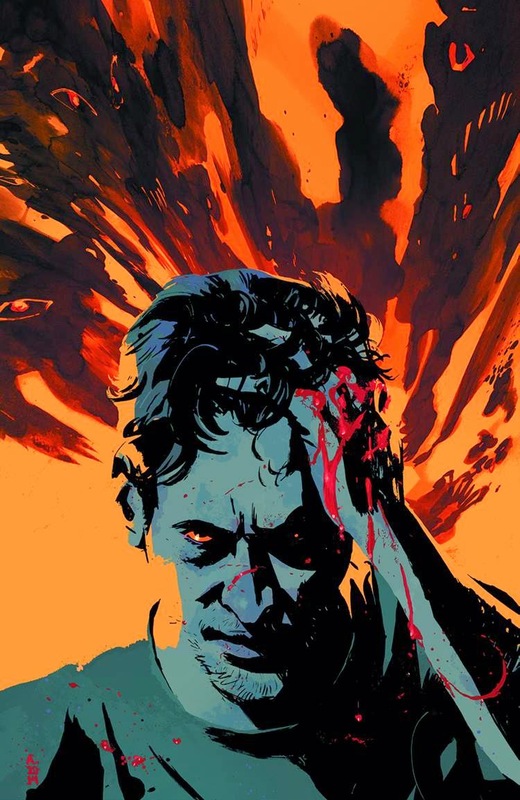 PreviewsWorld has a sneak peek into Robert Kirkman's Outcast plus an exclusive interview with artist Paul Azaceta. 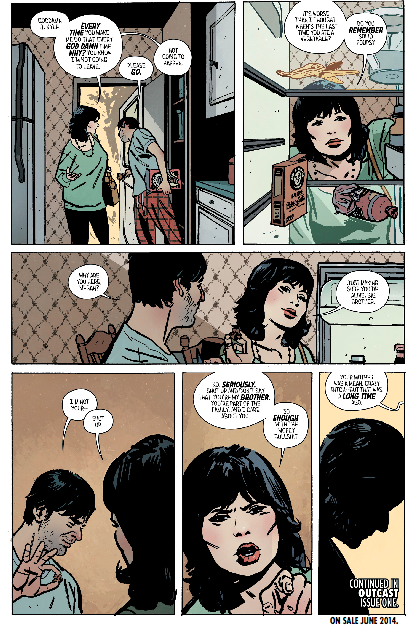 Outcast #1 will be in stores this Wednesday, June 25th. The story begins with a terrifying double sized first issue of 44 pages and it will only be $2.99.